Information: Alice Bertha Gomme, author of books about singing games. 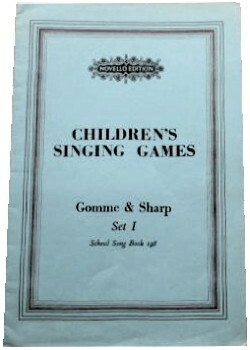 Children's Singing Games, 2 vol. Gomme, A.B. ? : Macmillan, 1894. Old English Singing Games. Gomme, A.B. ? : Dodd, Mead, 1900.